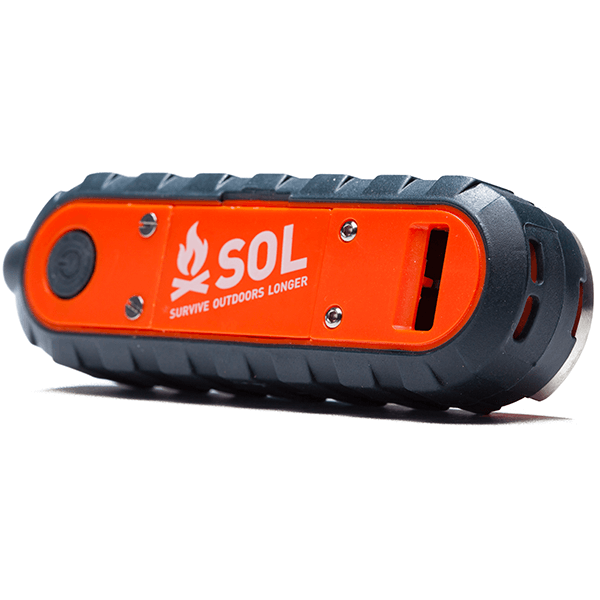 The next generation of the Survive Outdoors Longer’s tools. 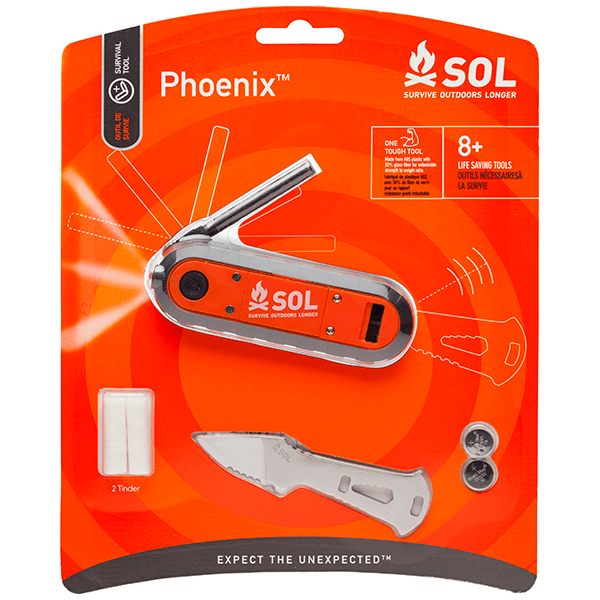 The Phoenix is the most innovative multi-purpose fire starting tool on the market that incorporates 8+ survival tools into one small pocket knife size multi-tool. 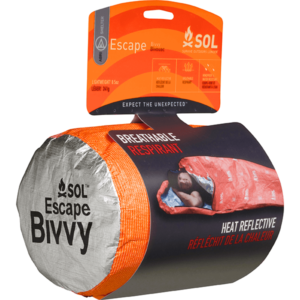 The only thing missing is the firewood. 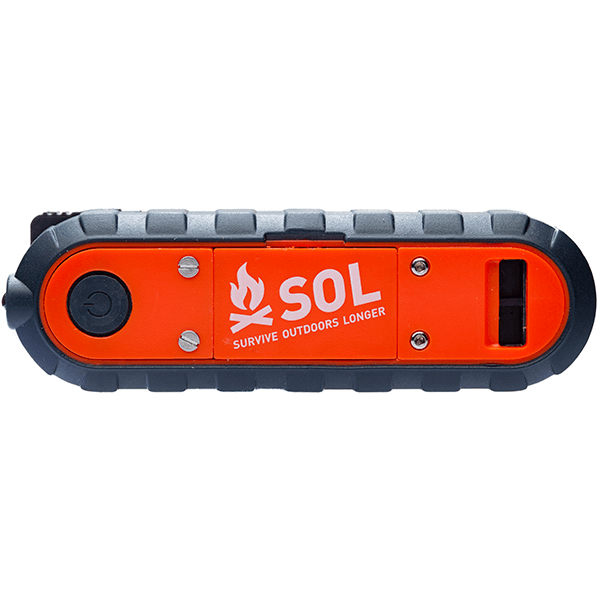 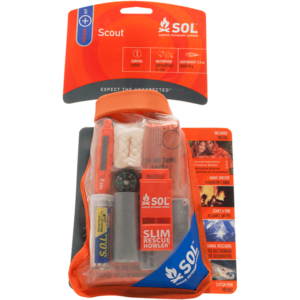 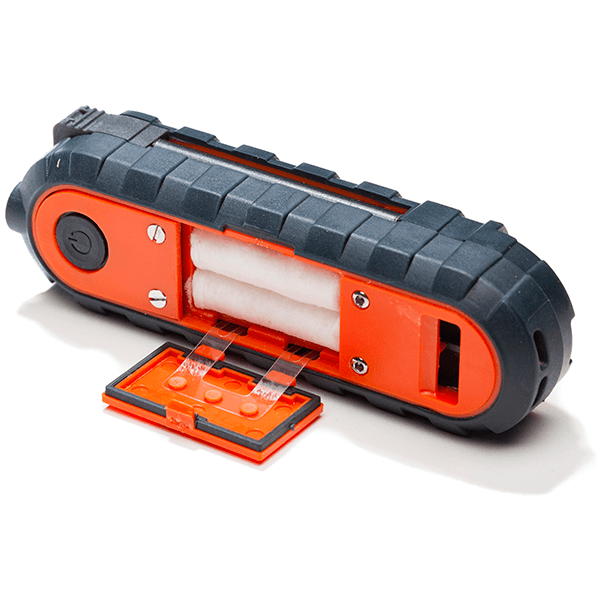 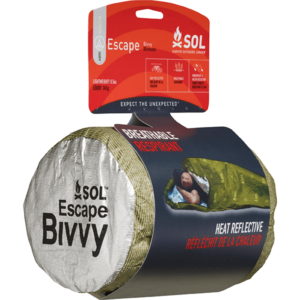 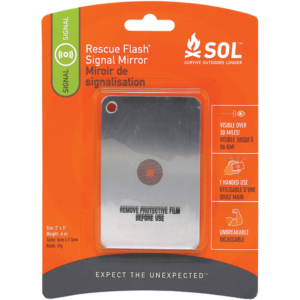 SKU: SOL0140-0838 Category: Survival Essentials Brands: SOL Survive Outdoors Longer. 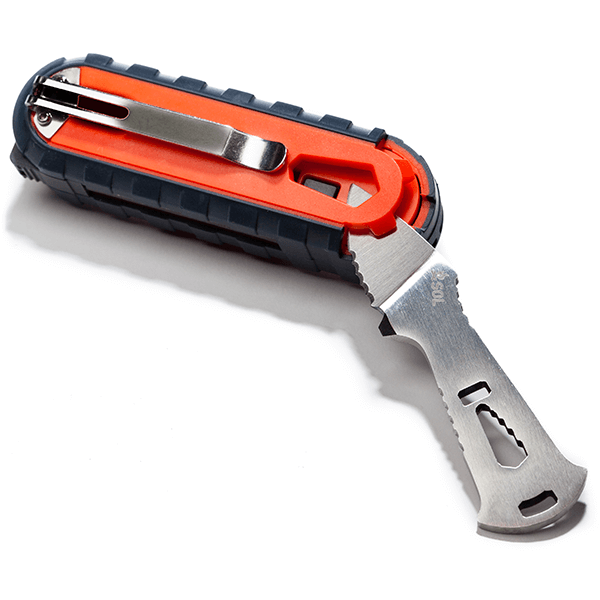 A fixed blade knife with a serrated blade that is made to be used as a striker and includes a bottle opener, size 3-7mm wrench, and flat head screw driver. 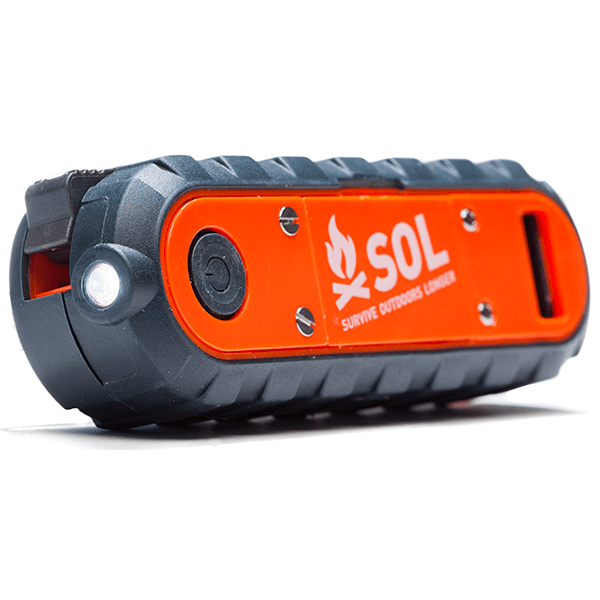 Use the LED light to light your way around camp. 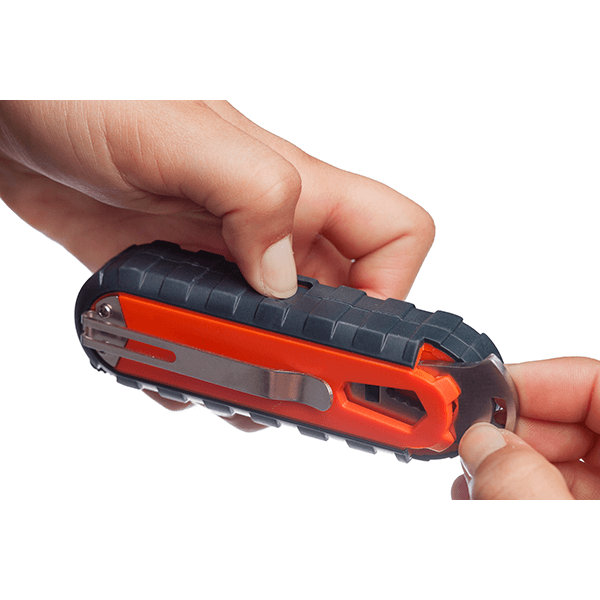 Clip the tool to your hat to make a headlamp. 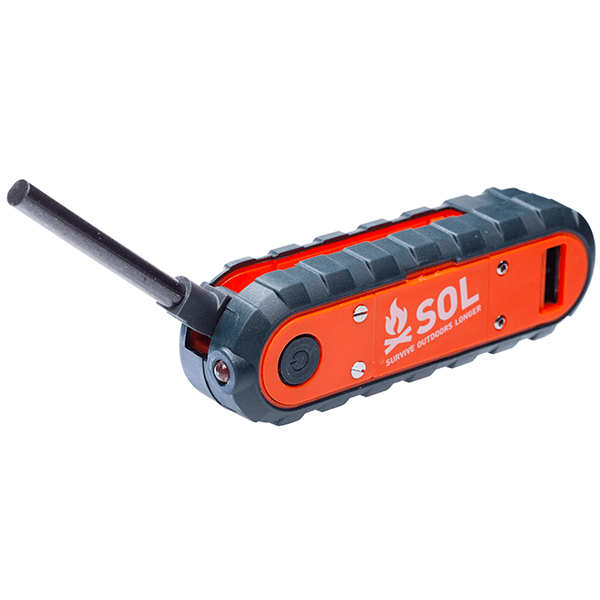 Signal for help with a built in whistle.